The mystery of their best friend's murder drives four girls to destroy the Gregory family. Emily Thorne would be proud. Everyone at Hawthorne Lake Country Club saw Willa Ames-Rowan climb into a boat with James Gregory, the Club’s heir apparent. And everyone at Hawthorne Lake Country Club watched him return. Alone. They all know he killed her. But none of them will say a word. The Gregory family is very, very good at making problems go away. 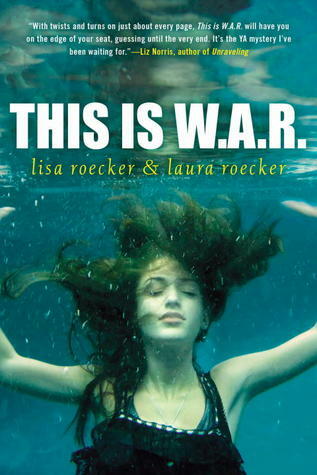 Enter the W.A.R.—the war to avenge Willa Ames-Rowan. Four girls. Four very different motives for justice and revenge, and only one rule: destroy the Gregory family at any cost. Thank you ladies so much for agreeing to take some time from your busy schedule to answer some questions for us here at Bibliophilia, Please. Let’s break the ice a little – what is something funny about y’all (sorry, I’m Southern) that only your friends know? Laura had a humdinger of a freshman year at college. Before she went, she thought it would be a good idea to chop off all (ALL) of her hair. Then she dyed it red. Then she got a tattoo with a friend that she prays daily will never be seen by her children or adult friends. Lisa traveled to Europe her junior year of college and ate her way through the entire continent gaining no less than 40 pounds. Like being pregnant, without the baby. Can you tell us a little bit about the four girls who are seeking revenge against the Gregory family? Rose McCaan’s dad is a police officer and her mom is the Hawthorne Lake Country Club event coordinator so she’s basically an outsider at the Club. She’s fallen in love with James Gregory, one of the Club’s most elite and powerful members. Willa was kind to Rose, so when she’s killed by James Gregory, Rose wants nothing but revenge. Carolina Winthrop was a loner as a child and strikes up a friendship with Willa one summer. After coming into her own (at least on the outside), she remains close with Willa. Willa is the only one who knows the real and raw and broken Lina. And even though this scares Lina, she can’t fathom living without her one true friend. Sloane Liu has learned that if she is quiet, people will assume all sorts of things about her and she prefers it this way. She considers herself a disappointment to her parents and feels that she can never live up to her expectations. Willa is the only one who believes in her. And now she’s dead. Madge Ames-Rowan is Willa’s step sister and best friend. She is beside herself with grief and has not even come close to touching it. In fact, she operates in denial mode and pours all her sadness and frustration and anger into destroying the Gregory family for destroying hers. Writing as a team, do you find yourselves having many disagreements about how you’re writing your novels? If so, how do y’all settle those disagreements? Typical sibling knockdown drag-out? 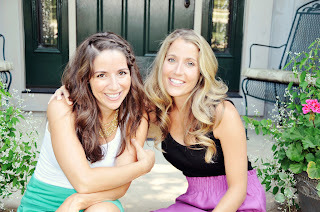 The only reason writing books as a team works is because we’re sisters. We rarely (if ever) argue about writing and I think it’s because our birth order rules step up and smooth things over. Lisa’s the oldest, so she’s in charge (most of the time). Since Laura’s younger, she appreciates being told what to do. It’s like magic! What is your favorite distraction that you indulge in whenever you are writing? Candy Crush. Laura introduced it to Lisa and she curses her daily for the new addiction. And here is little challenge to wrap things up: it is said that revenge is a dish best served cold. If y’all could cook it, what would be the perfect dish of revenge? One time shortly after Laura got married, she made catfish for her husband. There was something very, very wrong with it. So our dish would be that wrong catfish. Cold. Lisa and Laura Roecker are sisters-turned-writing partners with a passion for good books, pop culture, and Bravo programming. Not necessarily in that order. A prepubescent obsession with Lois Duncan and their mother's insistence that they read Men Are Just Desserts inspired This is W.A.R. The sisters live in Cleveland, Ohio, in separate residences. Their husbands wouldn't agree to a duplex. Cyberstalking is always encouraged at lisa-laura.blogspot.com and @landlroecker on Twitter.